Elizabeth City, N.C. –– Whether you're on or off the road, traveling across smooth or rough terrains, setting out on a new adventure or cruising through your hometown, the 2016 Jeep Patriot is many characters wrapped into one estimable SUV. Learn more about what makes the 2016 Jeep Patriot so enjoyable. 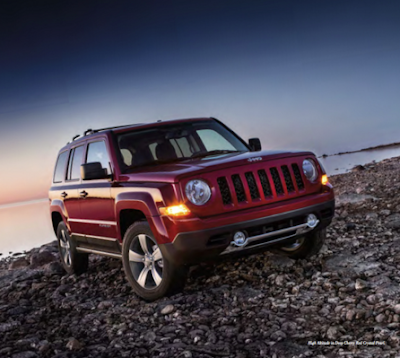 Download a free brochure below to check out more details and photos of the 2016 Jeep Patriot. The 2016 Jeep Patriot is available in the trim levels Sport and Latitude, but regardless of which option you choose, the Patriot delivers beyond expected results. You can see all of the features and other details about the 2016 Jeep Patriot in the downloadable 2016 Jeep Patriot brochure that will help you decide which trim level and additional features meet your needs.